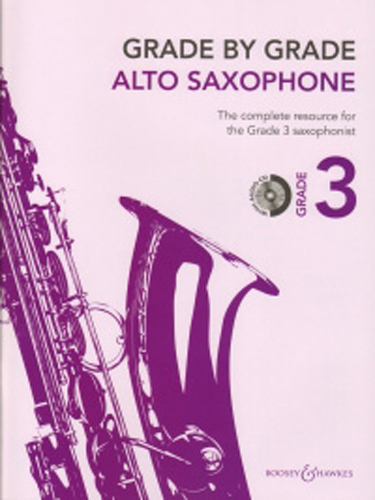 Grade By Grade Alto Saxophone Grade 3: The complete resource for the Grade 3 alto saxophonist. The Grade By Grade series draws on the rich and varied Boosey and Hawkes catalogue of classical, contemporary and educational repertoire, highlighting composers including Serge Prokofieff, Dmitri Shostakovich, Karl Jenkins, Carol Barratt and Christopher Norton, alongside arrangements of traditional music from around the world by Peter Wastall, Vera Gray and others. Packaged with a CD.